The atmosphere is perfect. Every time. 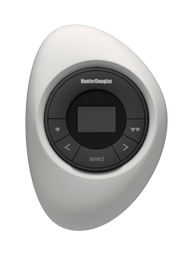 The Hunter Douglas Smart Shade System combines innovative technology with gorgeous design, enhancing your lifestyle. 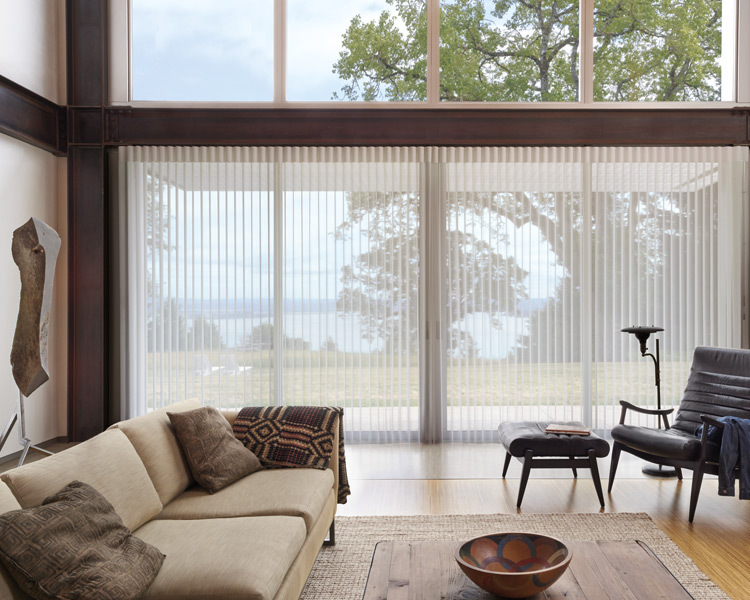 Control at one tap with these remote control blinds. Adjustments happen in an instant for your ideal atmosphere. Wall-mounted or coffee table decor, the Pebble remote offers sleek styling. 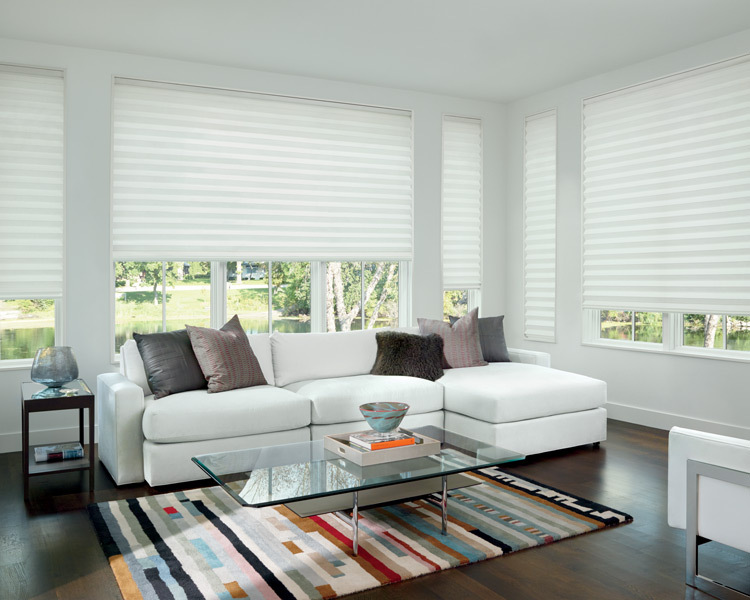 Control your motorized shades using your favorite device with the PowerView app. Scene setting, schedule creation–even simple adjustments from across the room, or around the world. 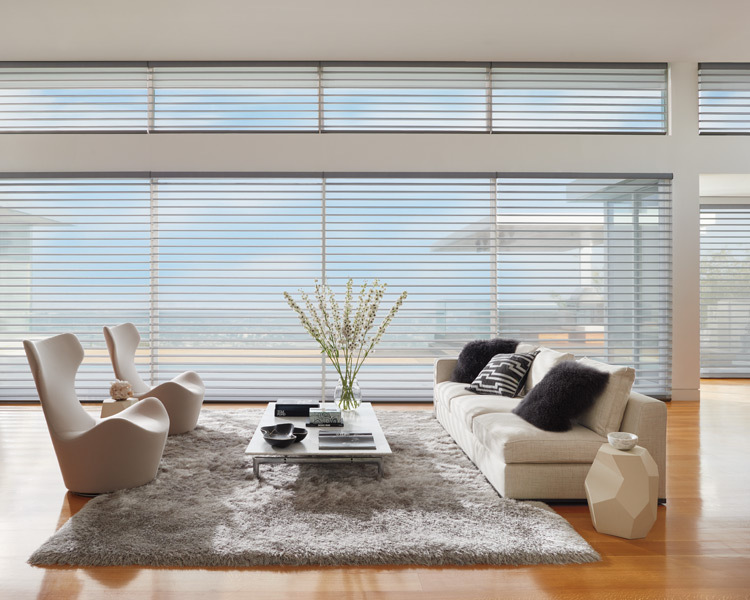 Experience intuitive technology, like voice control, as you integrate your motorized blinds with your smart home system. Compatible with Alexa, Google Home, The Nest & many more. Upgrade your lifestyle with these Smart Shades. Let us help you discover beautiful fabrics and life-changing features. We’ll guide you, step-by-step, through the design process, creating the ideal atmosphere in your home. We will be there for you on installation day, setting up your automatic blinds with you. We want you to experience all the features and possibilities. Enjoy light control like never before. 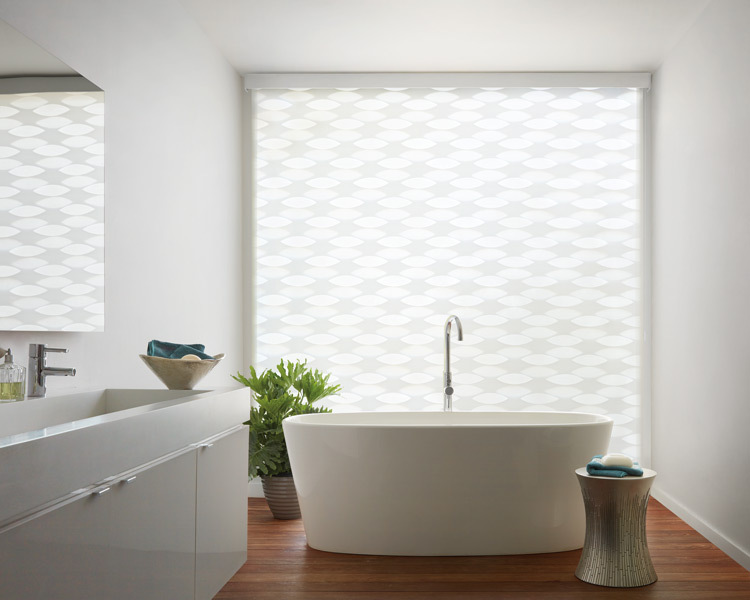 Motorized shades stay closed to let you sleep in on the weekends. Mid-morning sunshine comes in for productivity, closing right on schedule to keep the afternoon sun out. It’s scheduling that fits your lifestyle. The intense sunlight of summer will stay out, while also protecting against drafty winters. Enjoy a layer of insulation at the window for comfort. 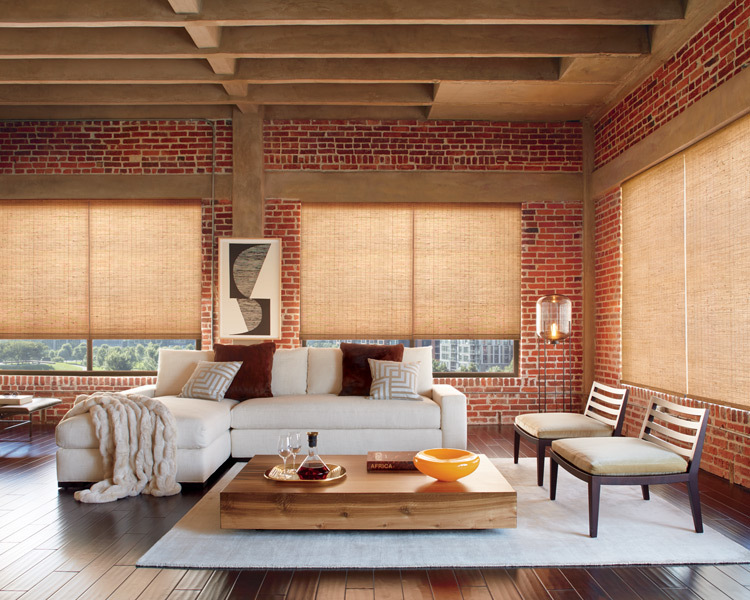 Your automatic blinds adjust easily for comfort and energy efficiency. 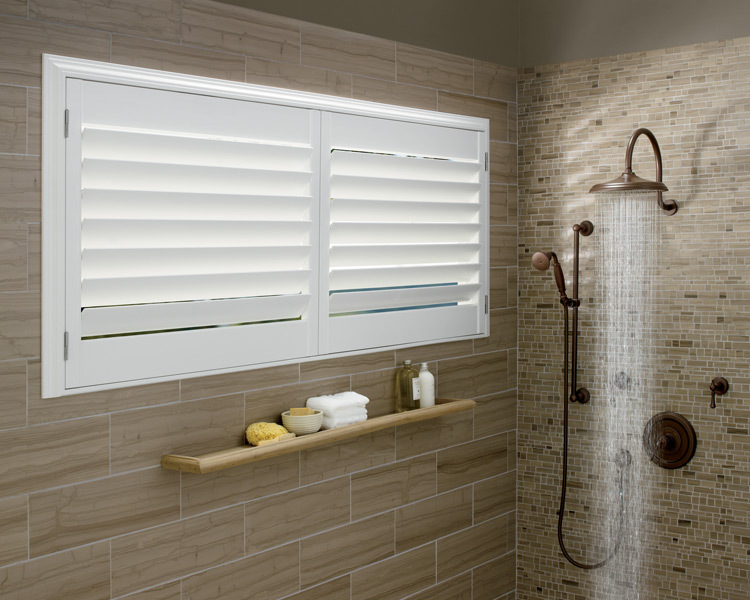 You deserve privacy and comfort in your home. 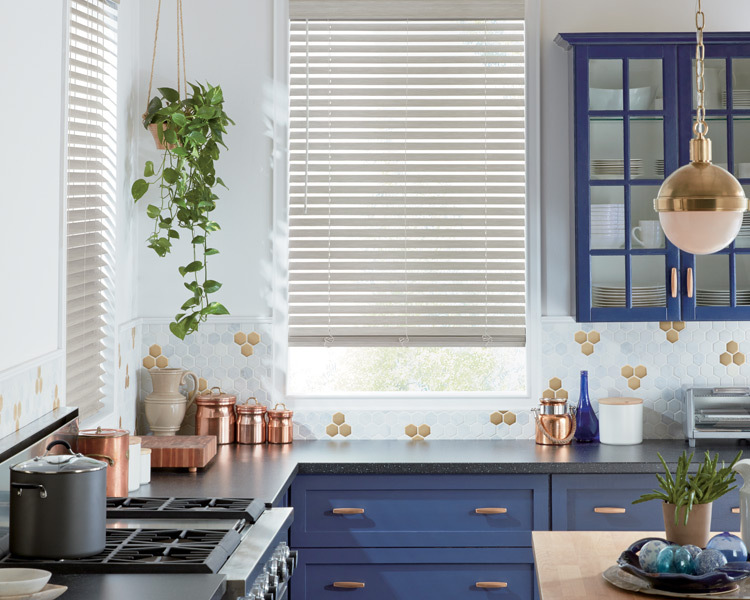 Control your smart shades, either on a schedule, or with a quick tap. 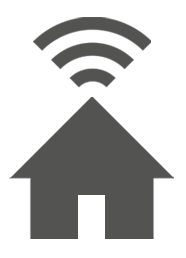 Most importantly, with smart shades, you can easily make adjustments for security when you’re not home. Dinner in the dining room? Enjoy soft, filtered light. Taking a nap on a Sunday afternoon? Enjoy room darkening. 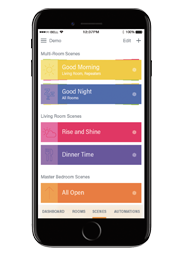 Scene setting is customized to fit your lifestyle. Your smart shades will enhance your lifestyle in the right position for every occasion. Our Expertise. Your Style. 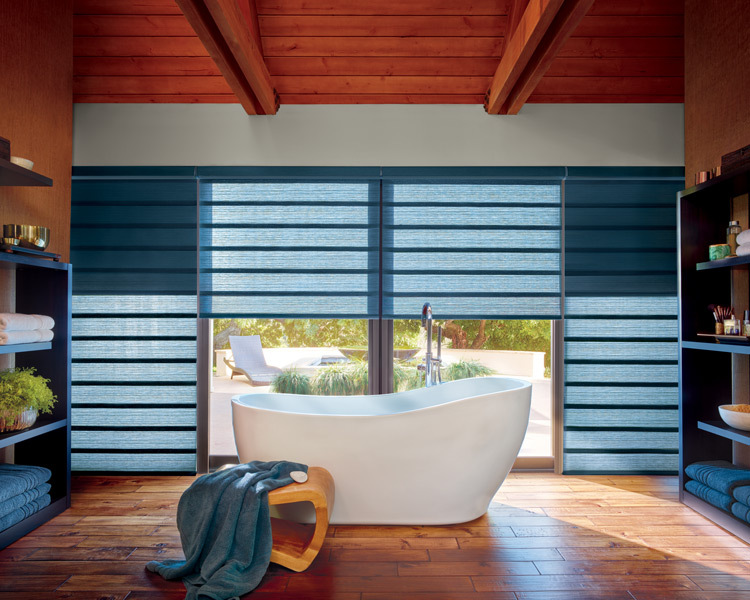 Let’s work together, bringing rhythm to your routine with motorized blinds and shades.